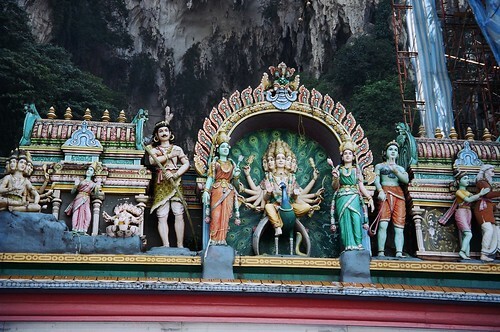 Unlike anything you will likely experience in Western culture, the 400 million year old Batu Caves today is one of the most popular Hindu shrines outside of India. Dedicated to the Hindu god Murugan, with numerous caves and shrines, the Batu Caves attracts both worshippers and tourists. RMG Technology (M) Sdn. Bhd. is a MSC status company based in Cyberjaya, Malaysia. RMG Technology has been operating in Malaysia since 2006 and has a technical team of diverse nationalities, including people working in Malaysia as well as commuters in different parts of the world. We have a very casual work environment and culture, from dress code to the way we communicate and work. Our technical teams are people who are deeply concerned about the quality of their work and have a passion for it. We try to improve the way things are done constantly. We don’t have a very big team so our staff have to deal with a variety of interesting tasks on a daily basis. Malaysia is a uniquely multi-ethnic society. It is one of the most exciting places to live in Asia, providing expats with a vast cultural experience as well as natural attractions such as beaches, jungles, and mountains. Cyberjaya is Malaysia's fast-growing e-commerce hub, located equidistant between the capital Kuala Lumpur and the international airport, from which you can explore a multitude of other Asian countries with the low-cost airline AirAsia. As a developer, you are familiar with the concepts of software quality assurance and can test your own and other’s code against best-practice standards. Working from home option on certain occasions/positions (not telecommuting). For expats, we also offer relocation assistance, work permits, and dependency permits for family members. Please visit http://www.regentmarkets.com/careers for further information. If you think you can be a good match for our company, drop us a line along with your resume by emailing Paul LeVarge at paul@regentmarkets.com and let them know you read about this at the Overseas Exile blog. Anything that gives us a better picture of who you are and what you do. If you move fast enough, they won't have time to kill you. Move to the Cayman Islands?